If you just graduated from say, nursing, and you feel like there’s no more place for another medical personnel in the healthcare industry…well, think again. Things are looking upward for Healthcare Information Management (HIM) this 2014 and you may want to look into that if you wish to achieve career advancement this year. Back in 2012, the HIM industry earned $433 million and hired 45,000 employees—by far the largest employment increase among the IT-Business Process Management sectors. 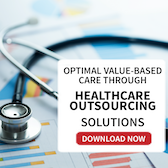 Healthcare Information Management Outsourcing Association of the Philippines (HIMOAP), a recognized association of healthcare outsourcing by the Philippine government and BPO industry, stated that the HIM sector achieved second highest increase in revenue of 66%. According to EHR Intelligence, from the 434,282 health IT job listings between 2007 and 2011, electronic health records (EHR) management is the most in demand skill with 43% mentions in job listings. HIM job postings have continually increased since 2007—10 times faster than healthcare jobs overall—as reported by Burning Glass Technologies. This growth in numbers proves that HIM is a vital facet in improving patient care. The healthcare system continuously advances technologically, which means this digitization would need more people to handle electronic data for quality medical assistance. Management of clinical care is becoming a main focus which requires competent HIM practitioners for efficient collection, handling and processing of clinical information. The US implementation of the International Classification of Diseases 10 (ICD 10) standard will take place this year, which definitely presents greater opportunities for healthcare and non-medical personnel. 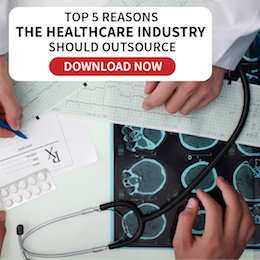 US healthcare companies outsource their requirements by almost 75%, which makes it the largest source of outsourcing demand. And since the Philippines is known to be one of the global leaders in outsourcing, that means positive outlook for Filipinos with HIM skills. You are at an advantage if you can combine patient care with health IT skills because you can have faster career promotion, demand higher salary and be part of a dynamic health organization as per Healthcare IT News. 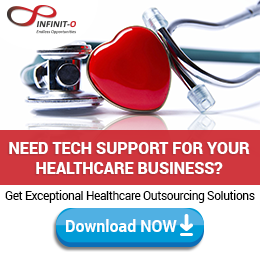 The acceleration pace in the Healthcare Information Management industry is at its peak this 2014. The application of technology such as Computerized Physicians Order Entry (CPOE) systems and Electronic Health Records (EHR) initiative is becoming more and more meticulous to ensure the efficiency and quality of patient care. And with that obvious fact, there’s no better industry to be in this year but in Healthcare Information Management.